EMC had the honor to welcome his excellency Eng. 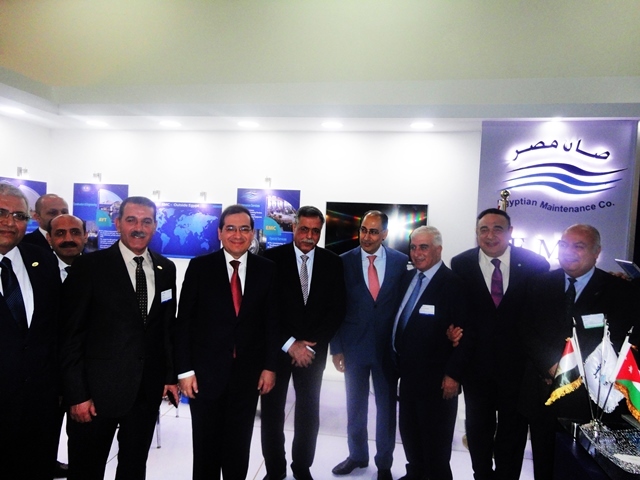 Tarek El-Molla Egyptian Minister of Petroleum & Mineral Resources and his excellency Dr. Ibrahim Saif the Jordanian Minister of energy and Mineral resources at EMC Stand during the 3rd Jordan International Energy Summit which is held under the patronage of His Majesty King Abdullah II ibn Al Hussein in the period from 2-3 April 2017 at the Grand Hyatt, Amman, that meeting was in the presence of Eng. Ahmed AlTarwneh the chairman & CEO of Altarwneh group in Jordan. EMC significant presence is a major opportunity to investment opportunities in different energy sectors including; Renewable Energy, Nuclear, Oil, Shale, Gas Supply as well as updates on the new oil pipeline project connecting Iraq, Jordan and Egypt. The JIES Exhibition gave EMC the opportunity to meet with key contacts in the energy industry including Government, potential partners and new and existing customers.